When you're ready to party, get ready to get excited music followers because Lollapalooza is coming. The music festival will be at Grant Park in Chicago soon and we have the Lollapalooza Schedule here. Tickets will sell out, most likely much faster than you can imagine, so point your browser to CheapTicketsASAP.com as we have access to the best tickets available. Lollapalooza's live display is always amazing, so email your friends and prepare for a huge Lolla party. CheapTicketsASAP.com is here to help make your music dreams become a reality. With bands like Radiohead, Red Hot Chili Peppers, Jane's Addiction, LCD Soundsystem, and so many more, you won't want to miss it. Lollapalooza festival tickets should be purchased well before the show as it can sell out and ticket prices fluctuate all the time. We normally have 4 day pass tickets available. Check the ticket listings above. Ticketholders are allowed to re-enter the festival 3 times per day after initial entry. You must be scanned upon exit at the gate in order to re-enter that same day. Ticketholders and their belongings will be searched upon entry and every re-entry to the park. Guests' belongings are subject to search upon entry or re-entry. Lockers are available. Do not leave your items unattended. 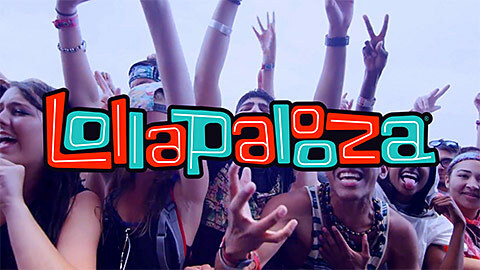 More concert information can be found at the official lollapalooza website. To learn more about Lollapalooza events and when do lollapalooza tickets go on sale, as well as other bands coming to your location, please visit CheapTicketsASAP.com for each of your concert info and ticket needs. We would be pleased to help make sure you don't miss on any of the concerts you want to attend. CheapTicketsASAP.com acts as an intermediary between buyers and ticket sellers to facilitate the purchase and sale of Lollapalooza tickets, and as such is not directly involved in the actual ticket sale transaction between the buyers and TICKET SELLERS. All sales are final. As tickets sold through CheapTicketsASAP.com are often obtained through the secondary market and prices are determined by the individual seller, the prices for tickets may be above or below face value. Lollapalooza Tickets sold through CheapTicketsASAP.com are from a third party; therefore, the buyer's name will not be printed on the tickets. Tickets may be sent by email when stated so. Please note that the name on the tickets does not affect the buyer's ability to access the Lollapalooza event.